I always talk about restaurants on “my list” that I just can never find time to make it to. 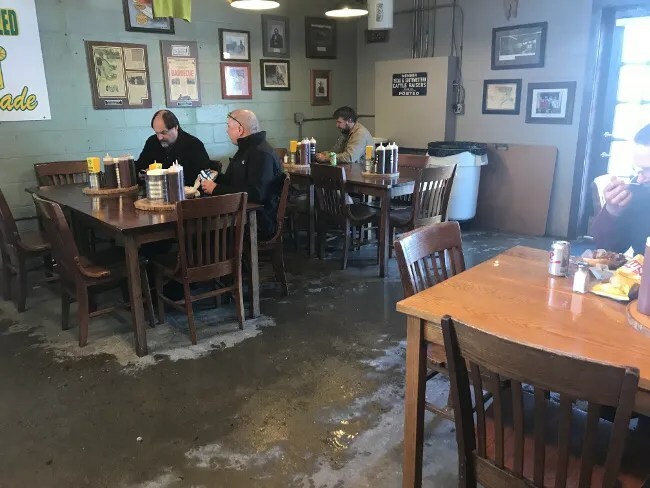 For many years now, there has been a BBQ place in Jackson with really odd hours that I’ve just never been able to make work….until now. 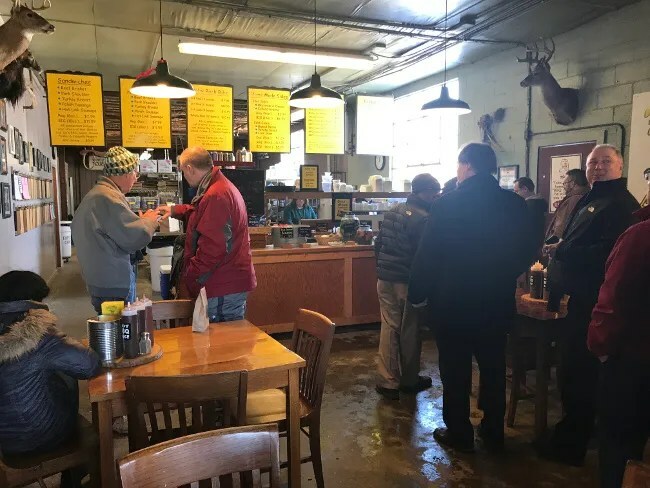 Five years ago, Mlive.com did their Michigan’s Best BBQ Tour. I had been to a couple of the places that had made the Top Ten but not the #1 place. It’s a place I had heard of prior to Mlive’s tour but the hours always made it difficult to get there. That was the case for the next five years. 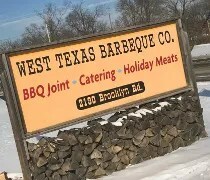 West Texas BBQ Company is on Brooklyn Road south of East South Street just south of the City of Jackson in Summit Township. The building is an old sign shop that was converted for a catering shop then converted again to double as a restaurant. A co-worker and I had some business to attend to in Jackson at around 1:00. I didn’t tell him but we left Kalamazoo early because I had every intention of stopping for lunch and getting some BBQ. I told him when we were about a half a mile away. When we pulled in the parking lot, saw that it was full, and there was a smoker out front, we knew I had made the right choice. I’ve already mentioned the hours at West Texas BBQ have always been a challenge for me. They’re only open for three hours a day during the week. The doors open at 11:00 and close up at 2:00. On Saturday, they stay open until 5:00. If you’re like me, you have a very short window to be driving through Jackson in order to be able to stop. We noticed the parking lot was full when we pulled in and that also meant the shop was full. There is a small dining room just inside the door with solid wood kitchen tables on the cement floor. Newspaper clippings, taxidermy, and pictures hang from the cinder block walls. The order counter is near the kitchen prep stations which is centrally located in the space. The menu hangs above with their smoked meat and side options. The line at the time we walked in stretched all the way back to the door and was starting to wrap around inside. Once again, I knew what I wanted before I walked in. I ordered the Large (10 oz.) Beef Brisket Sandwich and a Regular (8 oz) Macaroni & Cheese. I added on a can of Mt. Dew to round out the order and bring the total to just under $20 which I paid for with cash. My co-worker also put in his order and we started looking for a place to sit. The tables out front were all pretty full but I noticed some people sitting behind the kitchen. There’s a hallway that leads past the work area to another dining room with more tables. These are more mismatched tables set up picnic style with chairs that look like they’re from an old Mexican restaurant. You also get a pretty good view of what’s going on in the kitchen from this vantage point. It took less than five minutes to a guy come over with a tray filled with food. I was shocked at just how big the portions were and realized instantly I could have settled for the smaller size. 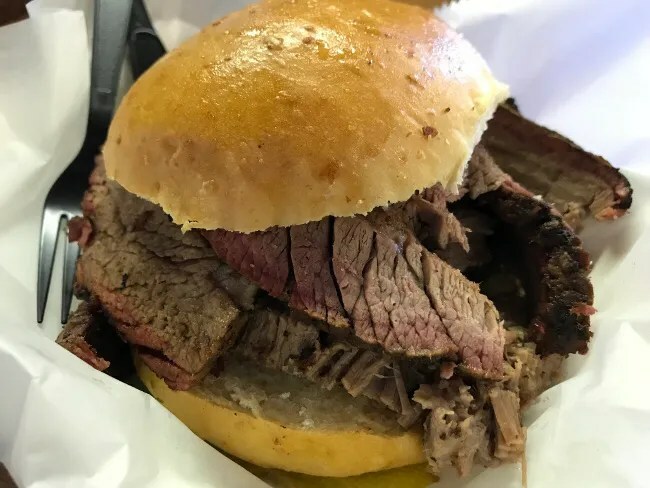 The Beef Brisket Sandwich came piled with a mountain of tender, juicy brisket on a house made bun. The meat has a slightly salty taste from the simple rub of paprika, cayenne, black pepper, seasoning salt, and Kosher salt. The meat just falls apart when picked up making it easy to eat. It packs a lot of flavor in to every bite between the salty bark and the smokey pink ring that envelopes every slice. The brisket is served without sauce but there are choices on the table if you choose to sauce it up. 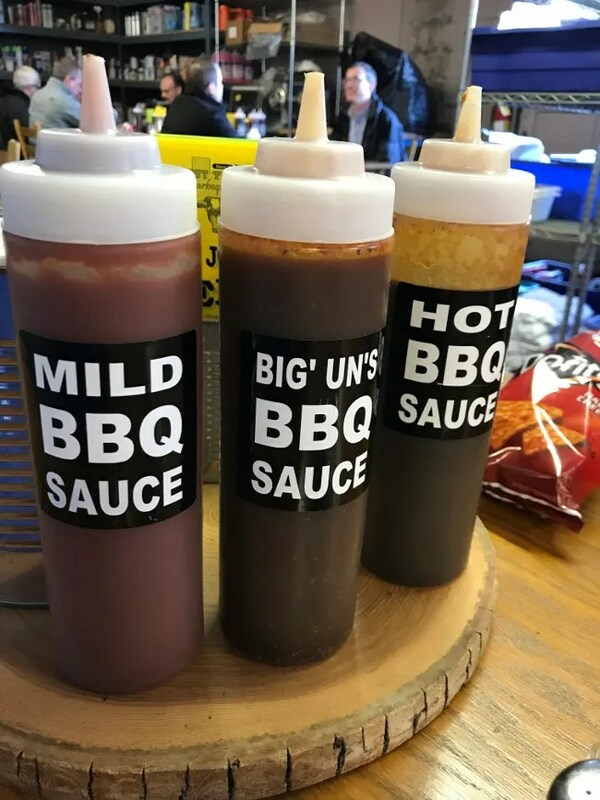 There’s a Mild, Hot, and Big Un’s. The mild had a real ketchup-y flavor. It’s was the sweetest of the three though. The hot lives up to it’s name. It’s got a similar flavor to the mild but with a little spice. The Big Un’s is a much thinner vinegary sauce. It’s comparable to a Carolina sauce or I’ve even seen it called “Brisket Sauce” in some places. The side that I chose was the Macaroni & Cheese. I went with the smaller size on the side and I’m glad I did. The dense, cheesy, pasta is packed tightly into the eight ounce Styrofoam bowl. 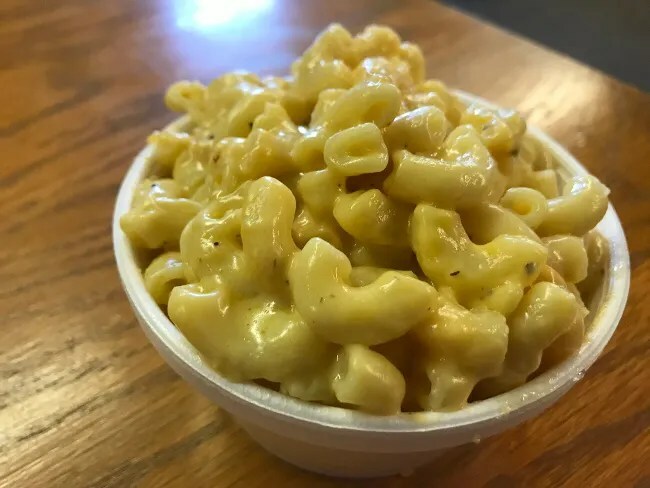 The Mac & Cheese is a pretty classic, standard Macaroni & Cheese but very tasty. 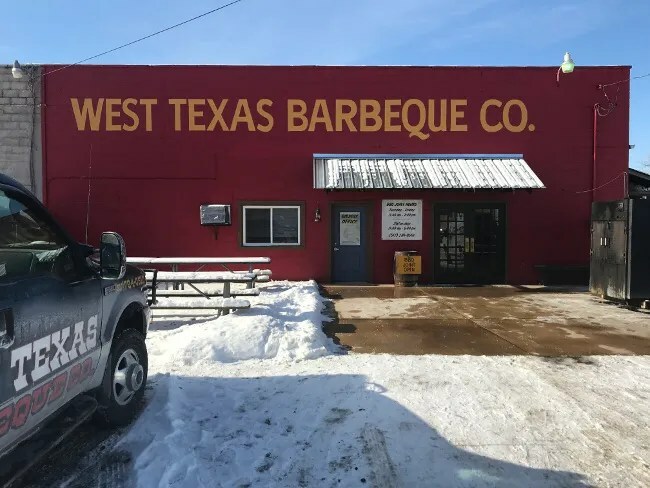 My mouth is still watering from my stop at West Texas BBQ Company. 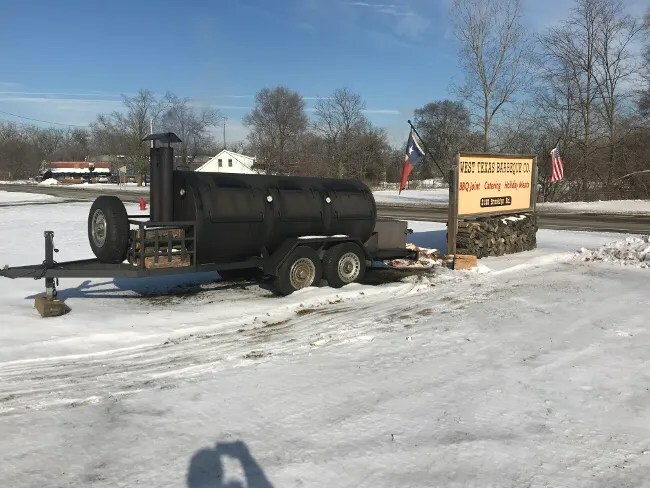 BBQ has really taken off in Michigan in recent years thanks to places like this that do traditional, in this case Texas, BBQ. I told J when I got home that we really need to go back so she can try it. I can see why Mlive chose this place as the best in Michigan. 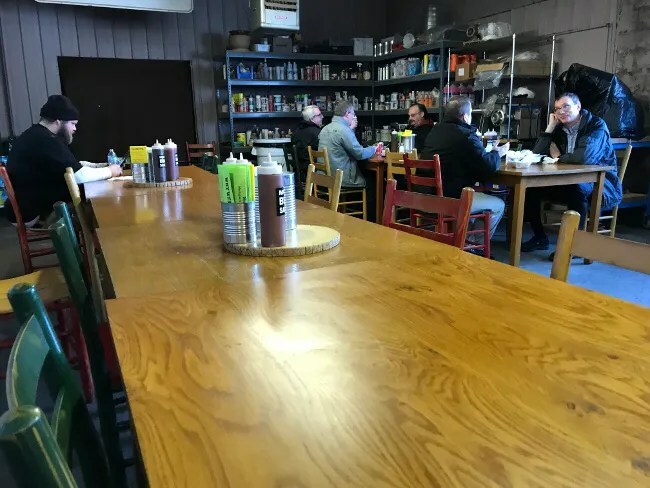 They have some really great competition, but they stand out as the counter service place that wrap their food in peach butcher paper just like you’d find in Texas. Reblogged this on Poe's Pig Out.